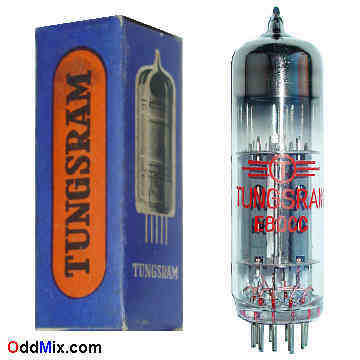 This is a genuine, vintage, rare, historical, high reliability type Tungsram E80CC High-Mu Twin Triode Electron Tube. Nearest good (pin for pin) subtitute is the 6085. This 10,000 hours certified, shock and vibration resistant industrial tube is designed for DC and AF [Audio Frequency] amplifier use. Typically used as phase inverter or resistance-coupled amplifier in sound electronic amplifiers, instruments and equipments. Excellent replacement part for instruments and restoration projects, radio amateur experimentation, guitar amplifier, Hi-Fi amplifier construction or to set up a private vacuum tube museum. It is NOS tube - New Old Stock, unused in excellent condition. First come first serve. Only one available!